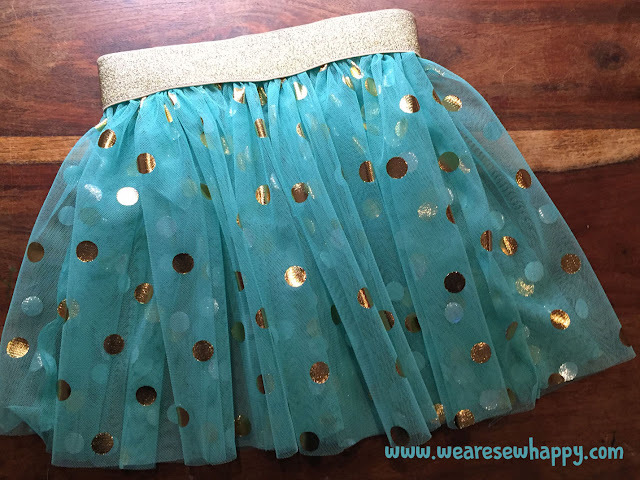 Ever wonder what skirt we make in kids camp? This quick and easy skirt is a staple project in our kid classes at Five Eighth Seams. 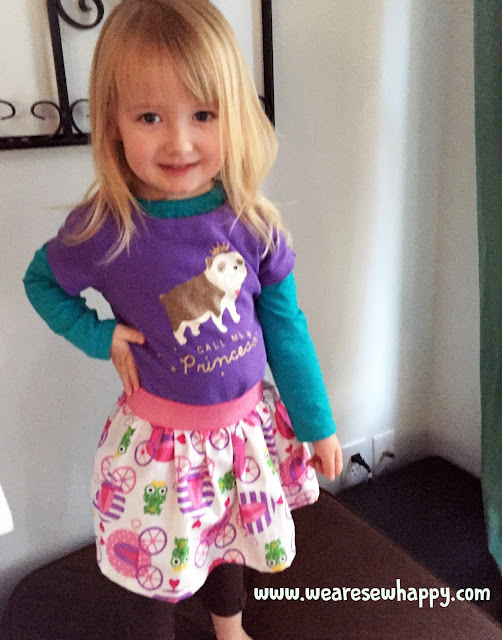 It is also a skirt my daughters love to wear. The measurement for this skirt is simple. Cut 1 piece for the skirt & 1 piece for the band at the bottom. 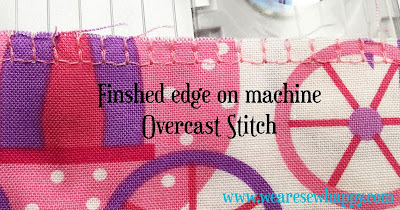 For the width of the pieces I usually just use the width of the fabric to make it easy. 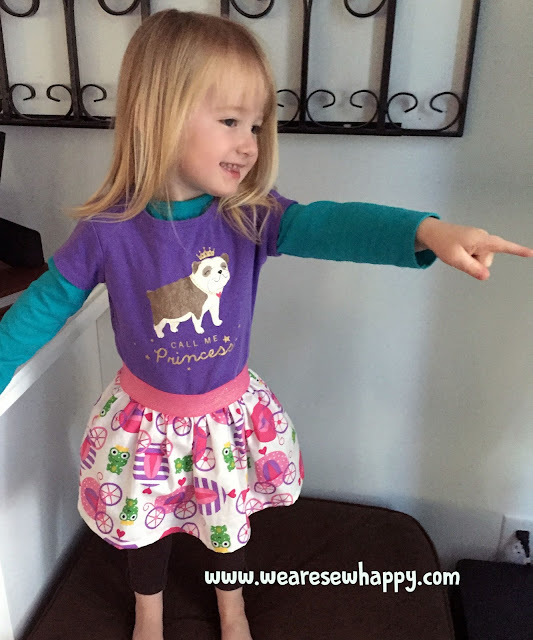 Plus, the smaller and younger you are, the more gathers you should have in your skirt, right? 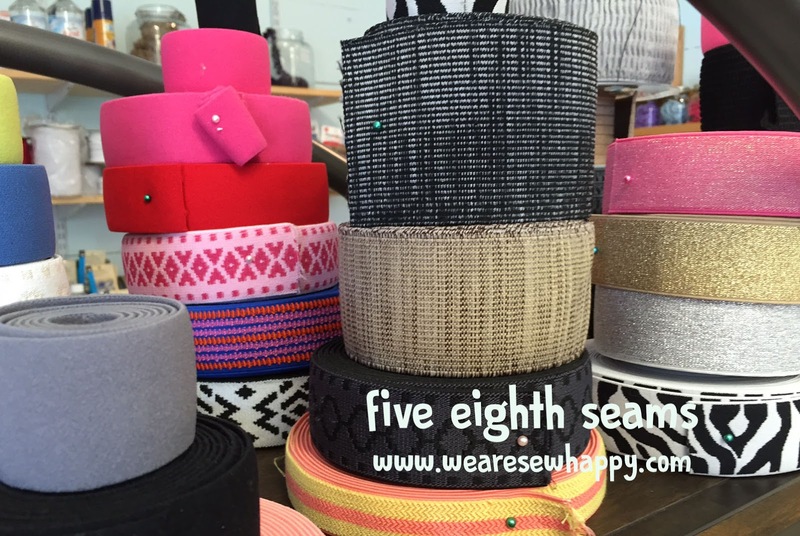 If you do not want to use the width of the fabric, use at least 1.5 x the waist measurement. For a 20" waist you would need at least 30" for the width. You only need more then the width of fabric if the waist is over 30" then cut 2 of each piece instead of 1. 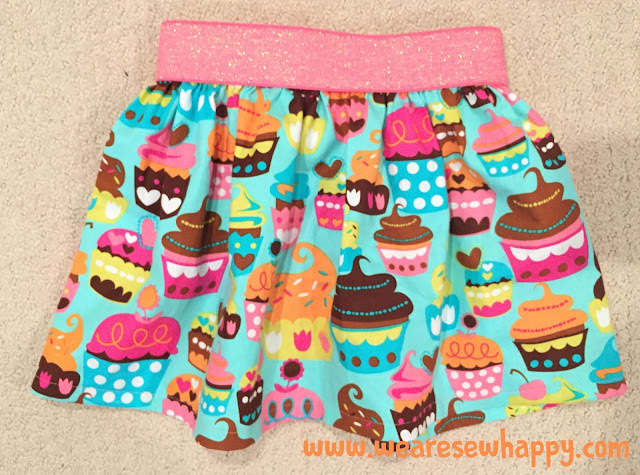 This is also true if you are making an adult version of this skirt. 2. Take the number, double it and add 1" ( 4=9, 3=7, 2=5) ________________ This will be the height of your band piece. 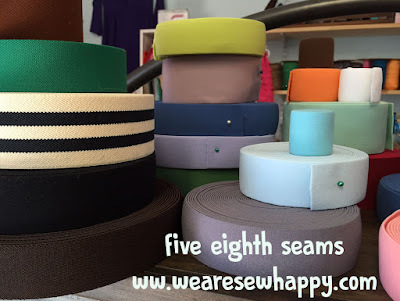 For 6 and over I always cut 9" just to make it a simple quarter yard of fabric. This will make a 4" band. 3. add 1.5" for elastic and seam allowance. , 2.5" for adults _______________ This will be the height of your skirt piece. For most 6-8 year olds I always cut 12" just to make it a simple 1/3 of a yard of fabric. 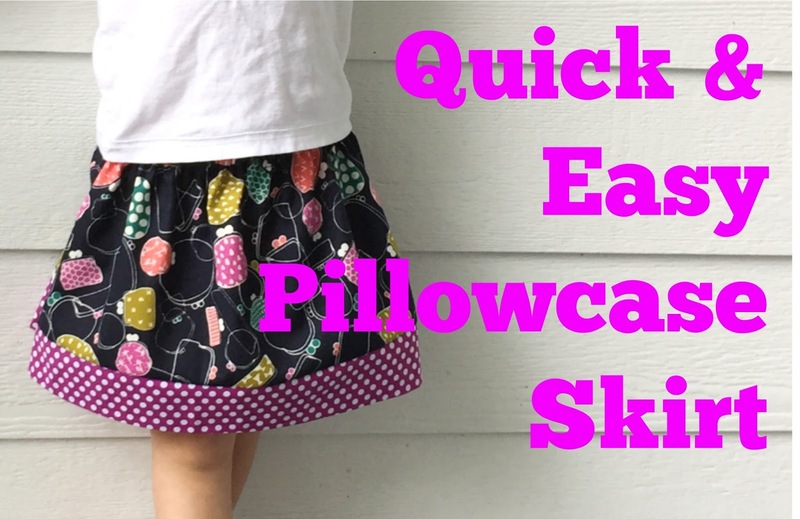 For older kids I use 3/8 or 1/2 yard. 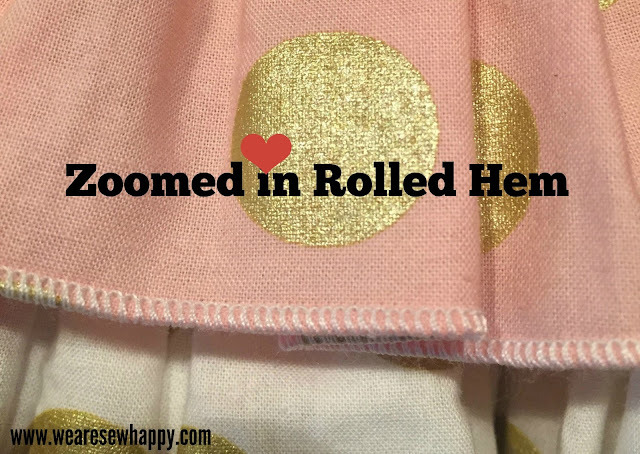 Now that you are cut out there are 2 ways to make a pillowcase skirt: hotdog method and a regular seam. This is a personal preference. I will be honest, usually I do the hotdog method when I am giving them as gifts as the seam is concealed, but for my girls or when I really am in a hurry I just do a basic seam. Here is a picture of how they look different on the inside of the skirt. 1. Right Side up lay down your band fabric. If you are using directional fabric, lay it so that design is upside down, right side up. 2. Lay down your skirt fabric right side down, bottom raw edge matching the raw edge of your band. You will not be able to see your band any longer. 3. 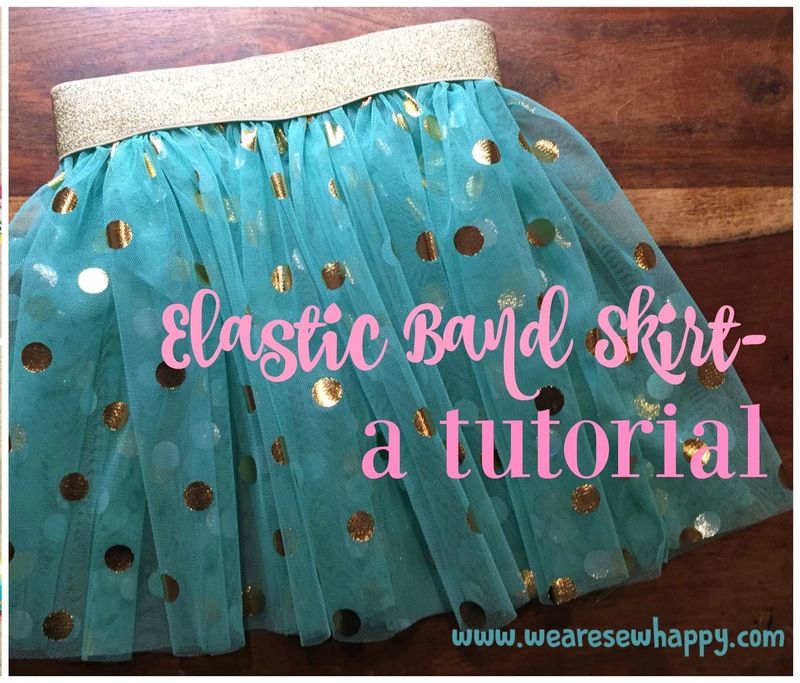 Starting at the top, roll the skirt fabric down until you can see half of your band fabric. 4. Fold the top of the band fabric down, matching the raw edges together. You will have 3 layers of fabric. 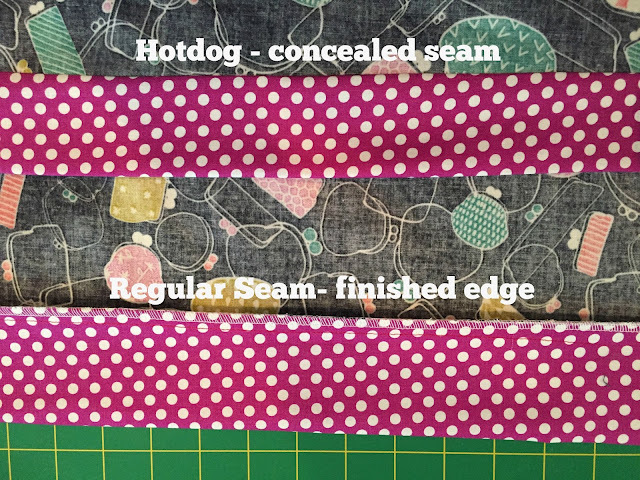 Pin the three layers together, make sure you do not catch the rolled fabric (your hotdog). 5. 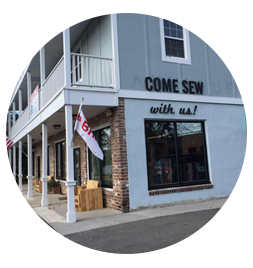 Sew a 1/2" seam all the way down the raw edge. Make sure you do not catch the rolled hotdog. 6. 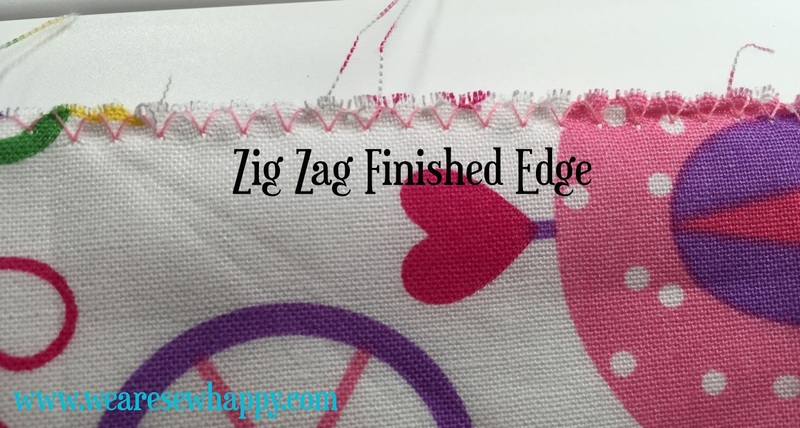 If you would like to finish the edge you can however, it will be encased so you do not have to. 7. Pull the hotdog out of the bun (the skirt out of the band). 1. 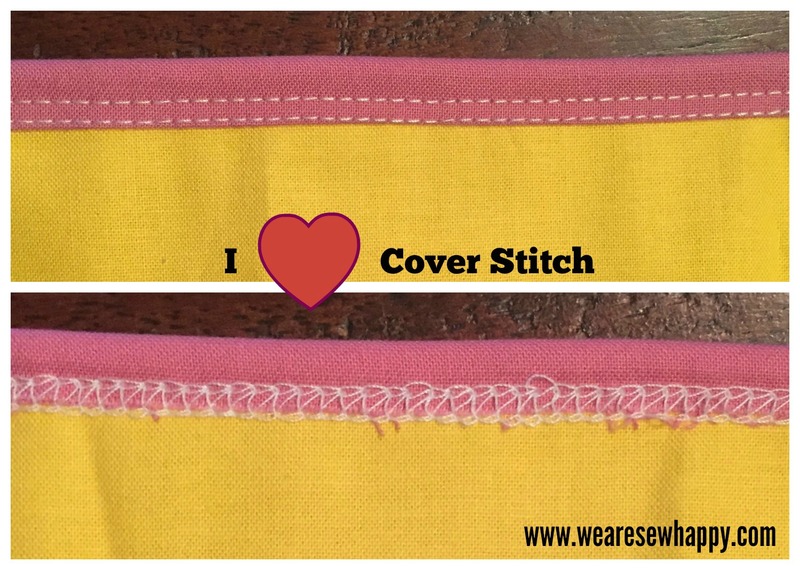 Press your band fabric wrong sides together down the long side. 3. 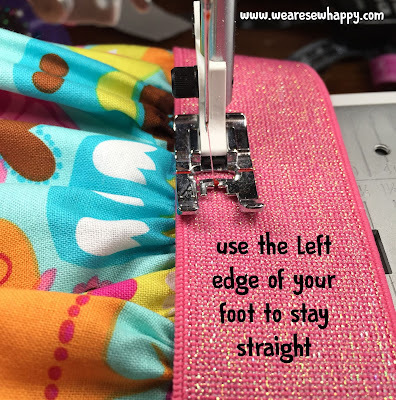 Sew a 1/2" seam and finish the raw edge. Press the band down. That's it. 1. 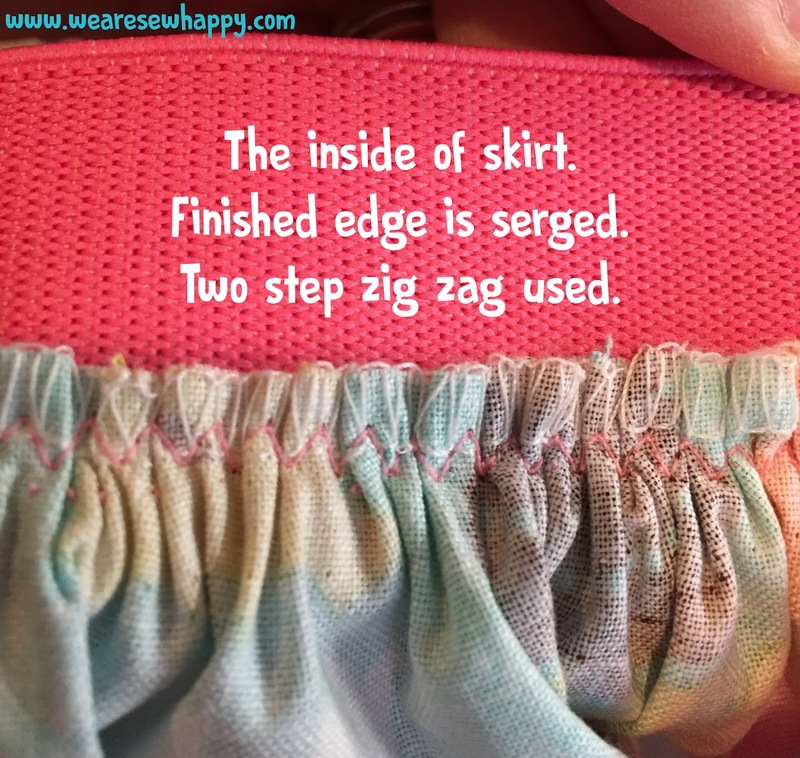 Folding the skirt over, right sides together, match the side seam. I suggest making sure the bottom of the band lines up. I like to fold the bottom corner over. 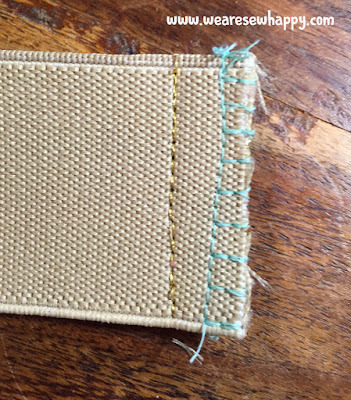 Sew inside the selvage - any seam allowance will do. 2. 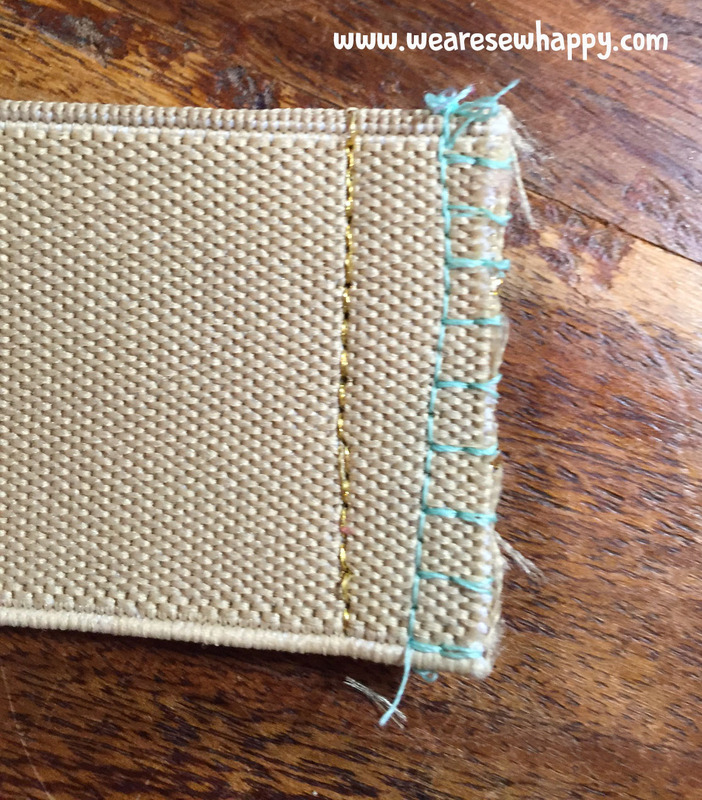 Finish the edge, making sure the bottom corner is folded. I like to use Fray Check on the bottom of my serge. 1. Fold over the top raw edge about 1/4". I just eyeball this, just trying to be consistent. Press. 2. 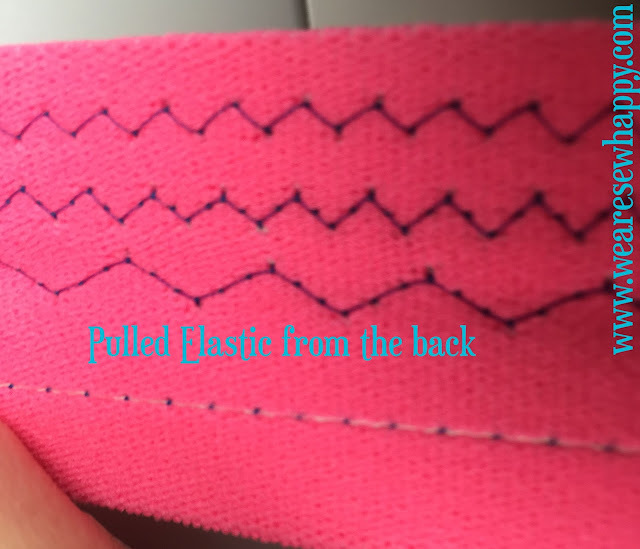 Fold the edge over a second time about 1/2" or a little larger then your elastic. If I am making an adult skirt, I fold it over an inch. Use your elastic to measure this. 3. Top stitch the casing down using a little longer stitch. Make sure you stay close to the bottom folded edge. 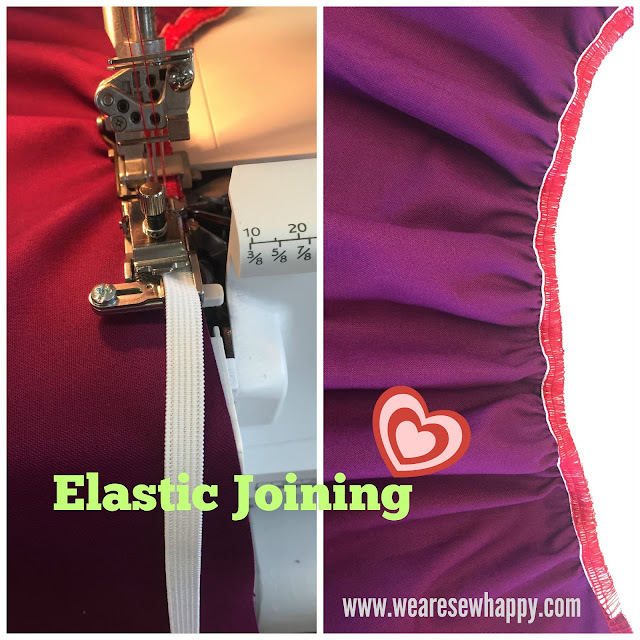 Leave an opening to put the elastic in. 4. 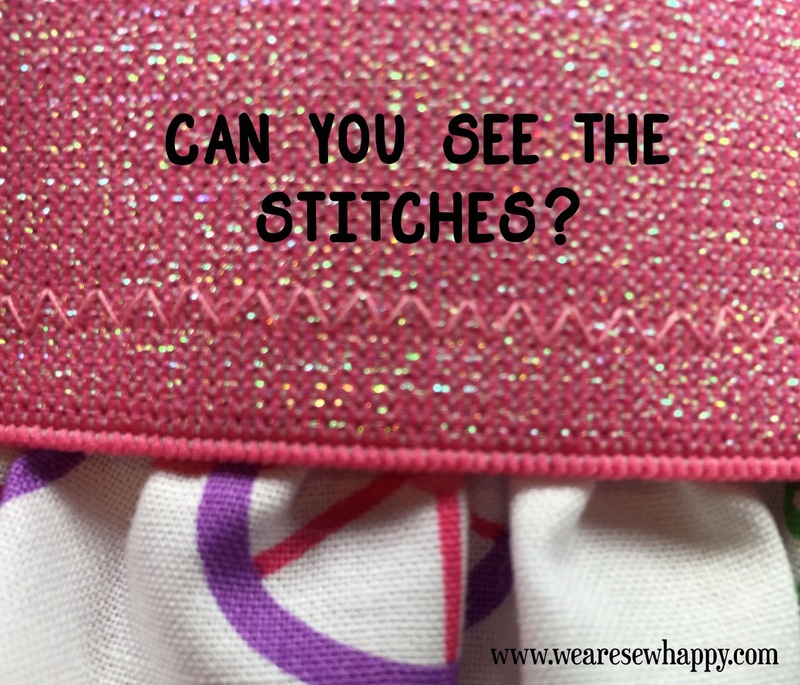 Thread the elastic through using a safety pin. 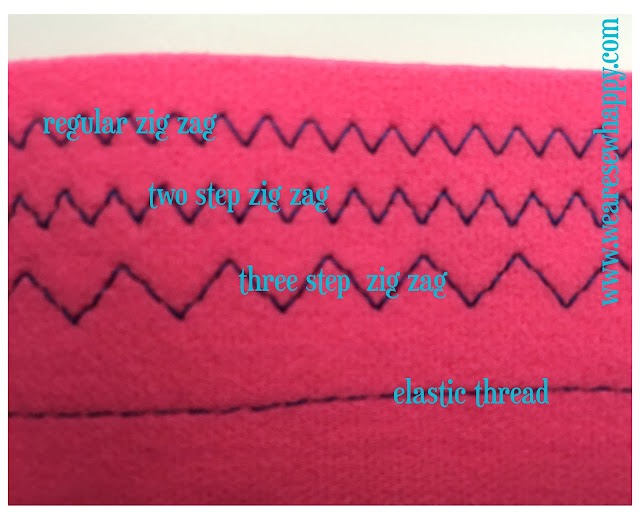 Sew the elastic together at the end. (I use a zig zag for this). 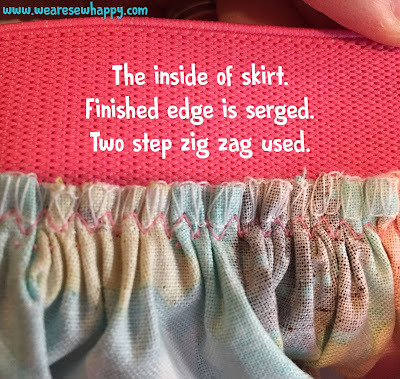 Pulling the skirt flat, sew together your hole shut. That's it! Your skirt is complete! 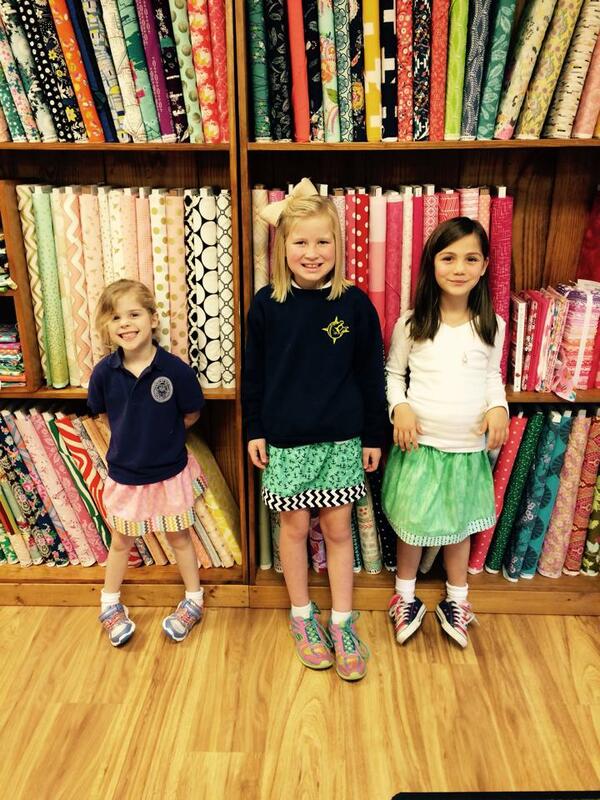 Three cute skirts made in 6-8 year old class by three even cuter girls. 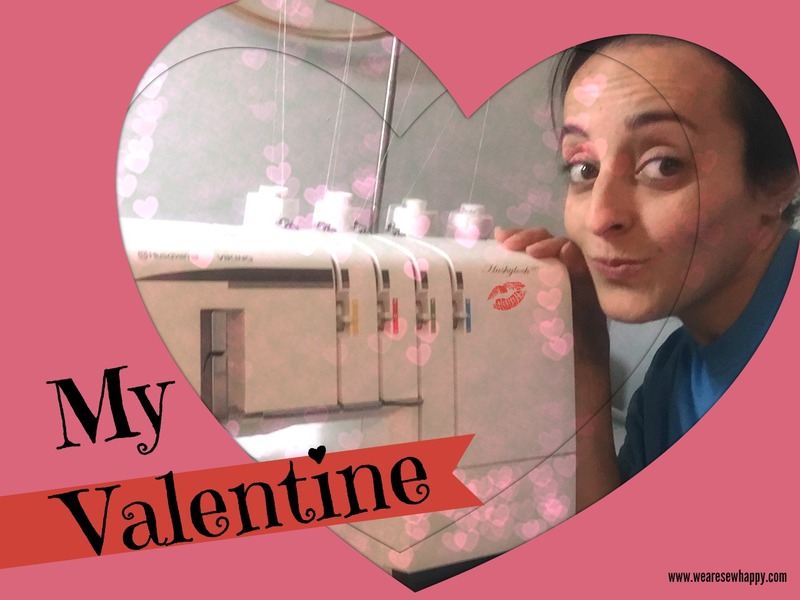 I have made so many birthday dresses, more then I can count. My girls love wearing the dresses so to make more I have been changing them just a little bit just to mix it up. This summer I made two dresses with more variations. For Mackenzie's Dress I omitted the sleeves, added a gathered ruffle around the pleat, only used one piece for the skirt instead of two and shortened it by 3 inches. For Braelyn's Dress I removed the pleat completely by making the front piece like the lining. I also added piping aroung the neck, arms and back line, I omitted the sleeves and only used one piece for the skirt. I also shortened it by 3 inches. For the bow I cut one long piece on the fold to the selvage. I used 55" seersucker so it was very long. I placed it on the bodice with the seam of the skirt about half way up. I then sewing down the side seams to tack it down. This is Elise she made this dress in Kids Camp, I've always thought that for the older girls the dress looks best without the angel sleeves. She also only used one piece for the skirt instead of two for a less gathered look. She also added an invisible zipper. 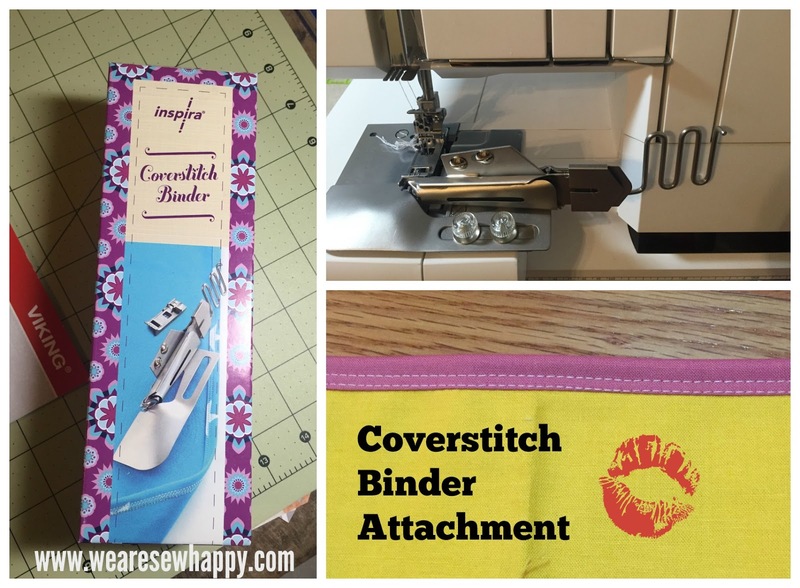 To add an invisible zipper just cut 1" off both back pieces and the lining then add the zipper! Here are a few of the other variations I have made. You may remember I made the Cinderella and Snow White versions of the Birthday Dress for our one day Disney World trip last year. Creating those were really just fabric and color choices and with a few added elements. 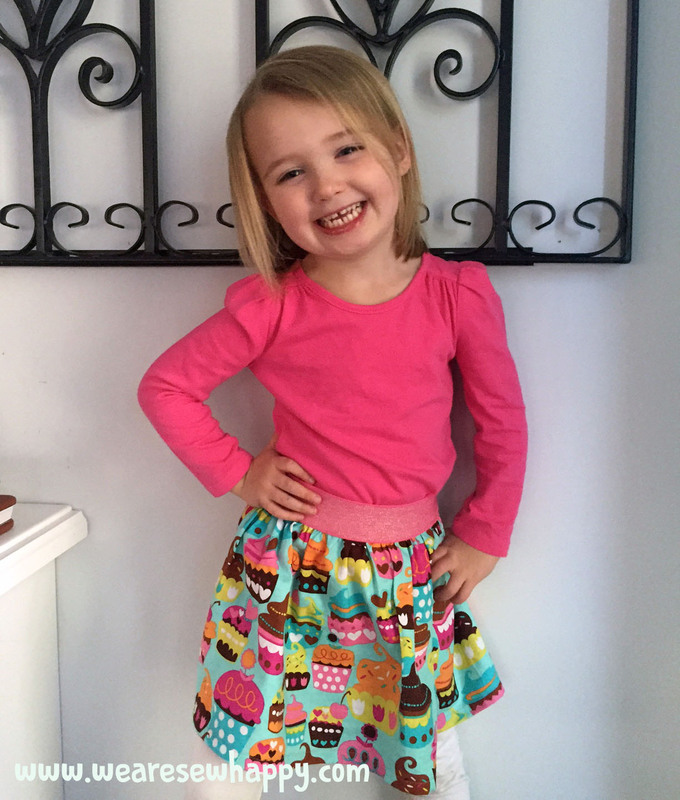 This is Mackenzie's Care Bear Dress made with a vintage pillowcase. Please share your Birthday Dress Variations on my facebook group or page to win a free Together Tank pdf pattern!